Shimla born on April 12, 1984. 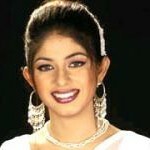 Bangladehhi actress Shimla is most popular for her acting. She is living Dhaka now. She loves acting. He looks very attractive. Her ambition is to be a film actress from her childhoot. People choose her very much. Her film industry’s name is Shimla. 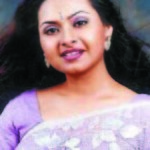 She is well known film star of Bangladesh. She is acting television dramas and telefilms too. Most of people like her films. Shimla wants to perform lots of film extra ordinary film. Her first film is Madam fuli which was most popular. She acts more films like as Gonta Jatra, Dauaa, Lal Sabuj and so on. Most of her film commercially success full. She hot dance dances in various films. She acted more than 60 movies. Shimla god national film award in 1999.